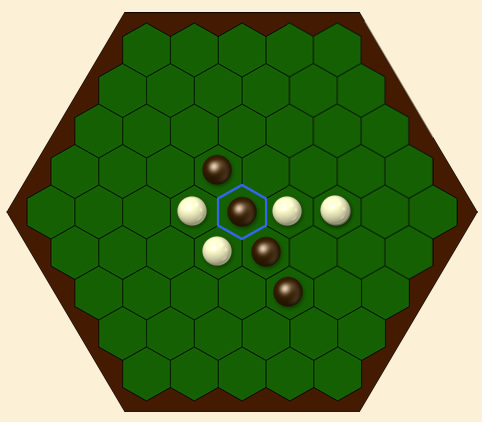 We added a new Game: Yavalath. Yavalath is a game by Cameron Browne. The rules are invented by a computer program and are very simple: you need to be the first to have 4 (or more) in a row without creating exactly 3 in a row in a previous turn. First read the rules before you start playing this game. four in a line is not the same as four in a row. Am I right? When playing "practice" the move list needs to be re-positioned because it is displayed over the board and you can't see the upper and right side of the board as you look at the board. it seems to me you need 4 connecting pieces in any direction to win. "in a row" in this case, means any pieces lined up in the same orientation, horizontal, or diagonal.